Maui is known as the Valley Isle, as it's basically made up of two volcanic mountains that eventually joined together through lava flows. Now, both volcanic mountains are sleeping, and the narrow isthmus between grows wild. 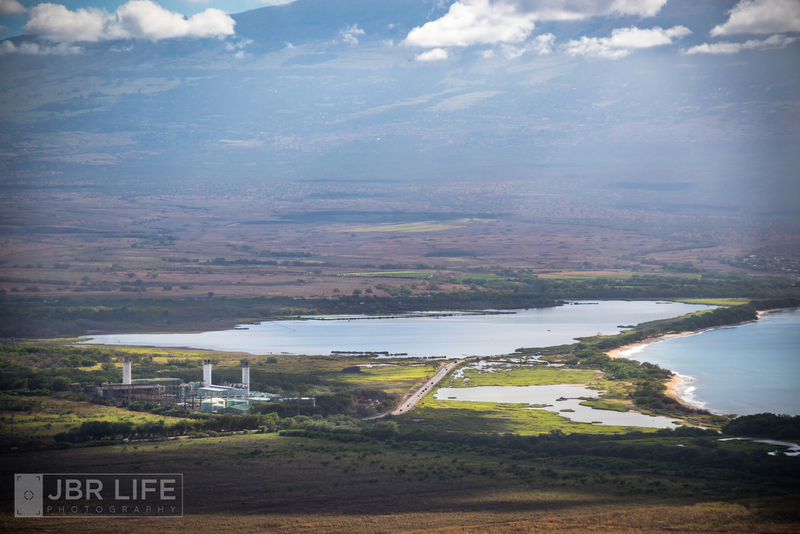 In this image, you can see our little power plant, which supplies electricity to most of the island. The large ponds behind are part of a wildlife preserve, Kealia Fish Ponds...one of my favorite birding spots around here. Shot on a Sony a7r3 + Canon EF-S 18-135 via Metabones adapter. Enjoy! I'm really happy that you take time to show views of Hawaii that are not the ordinary purview. My appreciation of the area has really grown because of your efforts. Yeah, I like you find genuine interest, affection and beauty for subjects that would typically not be of interest to most, including me, who is too focused on "pretty pretty pretty pretty pretty". Mahalo, Taz & Tom! It does my heart good to know that someone on this planet is benefiting somehow from the way I can portray the world around me. I appreciate the feedback and support from you both!